Our E30 316i Supercharged conversion has begun. A suitable car has been purchased. The pictures show the car as it stands. It has a great service history and only two previous owners! A well looked after example in a 3 door trim is hard to find these days, but after many months searching we found a suitable candidate. "Project MOO" as it has been nicknamed has begun! The first real step is to test the engine block to see if it will be up to the job of handling our intentions for this car! 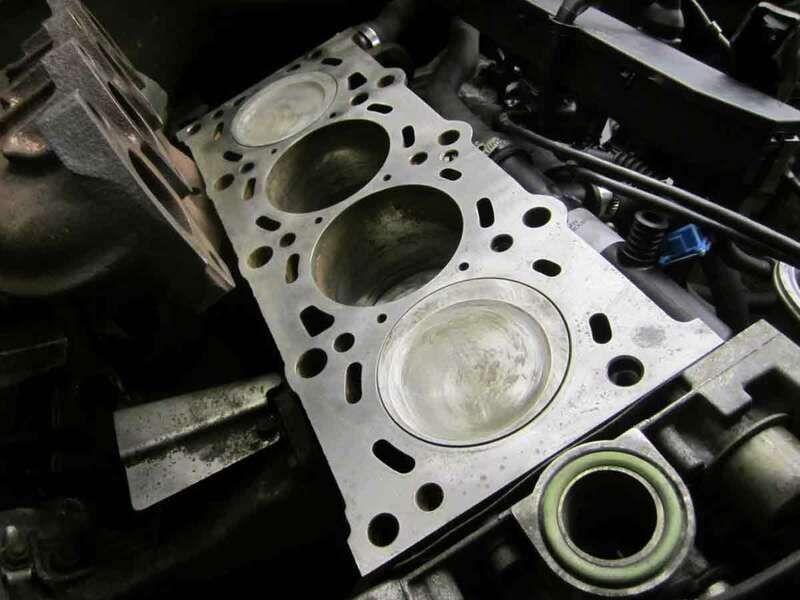 The first step is to ensure the engine is producing enough oil pressure. This is undertaken with a Oil Presssure Test. Firstly the Oil Pressure Switch is removed from the engine block and the tester is fitted in its place. 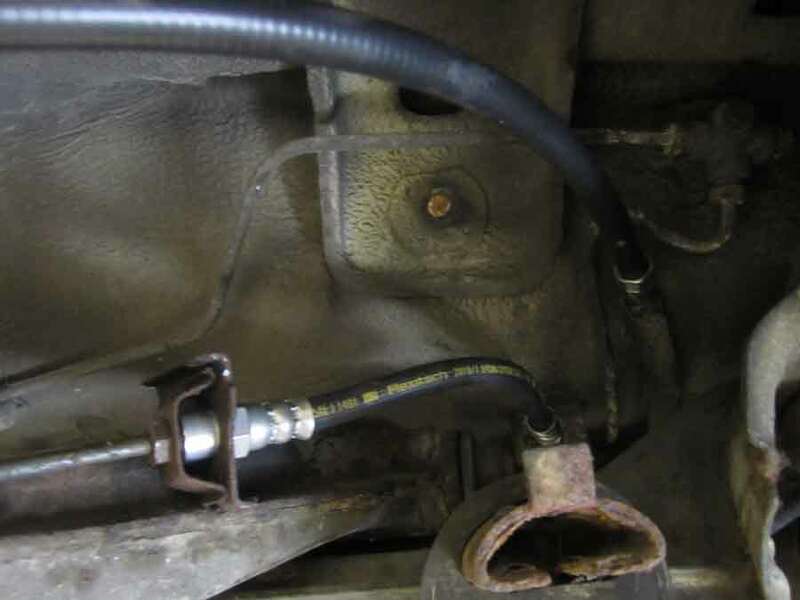 This tester is connected to a gauge that accurately measures the oil pressure and displays it on the gauge while the engine is running. as you can see from the video below MOO produced adequate oil pressure. The next step was to perform a compression test, this is done by removing the spark plugs and fitting a guage in its place, as the engine turns over on the starter motor we watch the guage until it rises and holds at its maximum compression, all four cylinders were above the required level. 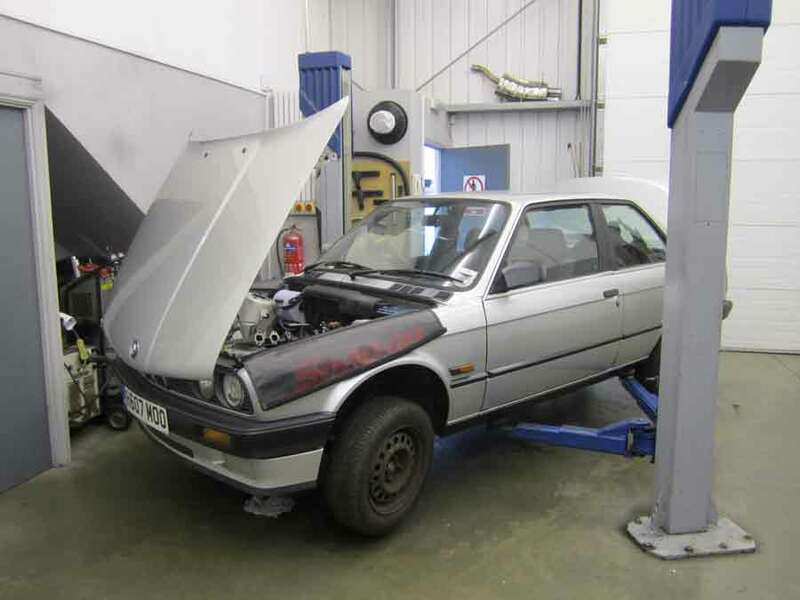 Now that the tests have been completed the first real tuning step was the chassis, We managed to find a BMW E30 specialist who was braking a 325i Sport. 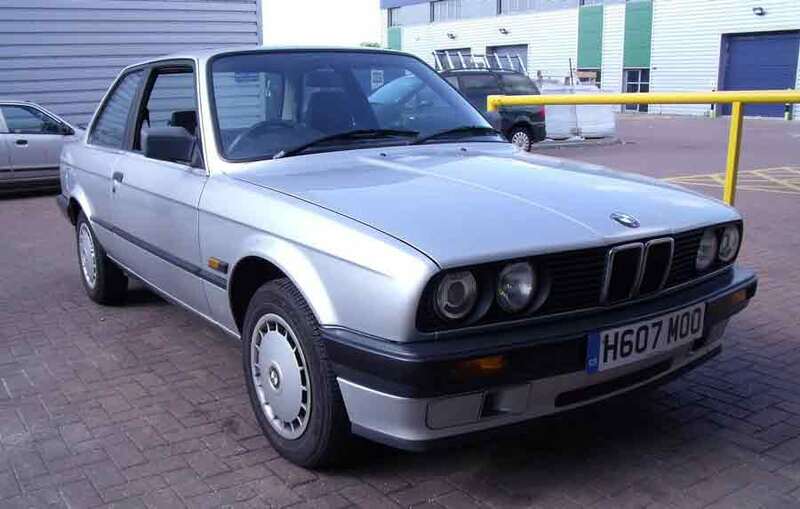 The 325i Sport came with uprated larger brakes and rear disc brakes, It also came with a Limited Slip Differential (LSD) as standard and had lower sports suspension and larger anti roll bars compared the lower models. Installing these parts brings the chassis up to a 325i Sport equivalent meaning it is now suitable for the intended power output we have planned for this project. The first step was to remove the exhaust system (manifold back) and the underbody shields. we also then removed the prop shaft and a few other minor components. The second step was to seperate and remove all the 316i rear subframe assembley, this can be done in quite a safe and easy manner by dropping the majority of the parts in one complete unit. 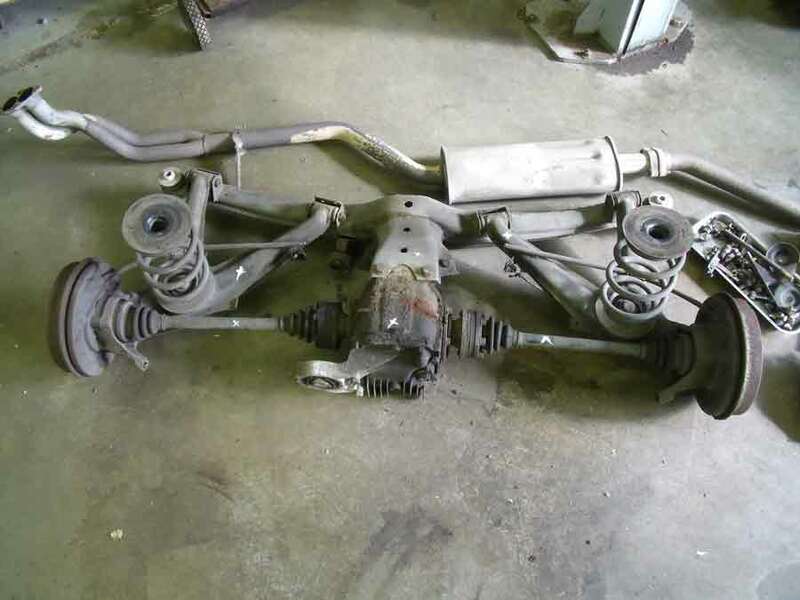 As you can see the subframe comes down with the differential, rear drums, drive shafts, swing arms etc all attached. Next we removed the front suspension, brakes and wishbones from each side completing the strip down process for the chassis. 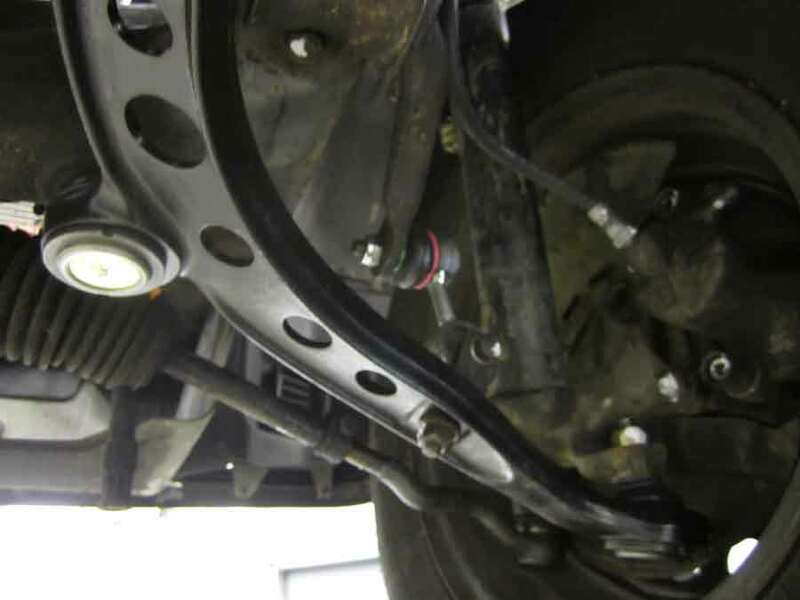 Before Installing the rear end back onto the car we changed the rear subframe mount bushes as these were very worn and a much easier task to perform with the subframe on the floor. With the mounts changed we set about installing the rear end back in the car by attaching the LSD to the subframe and installing this first as the rest would then be mounted to the subframe while on the chassis. 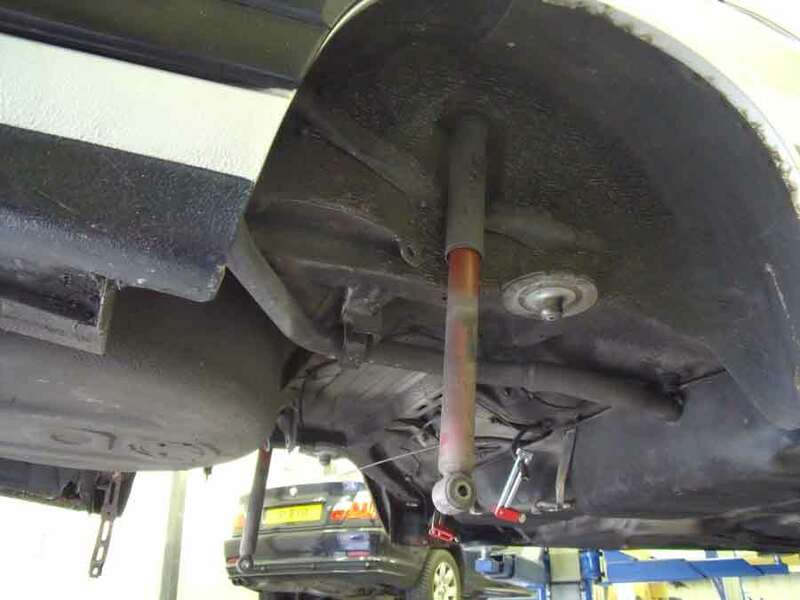 The front suspension was then fitted to both sides and new front brake disks had to be fitted to just make the car safe to drive in and out the workshop. As pictured the car now has rear disk brakes as opposed to the rear drums. 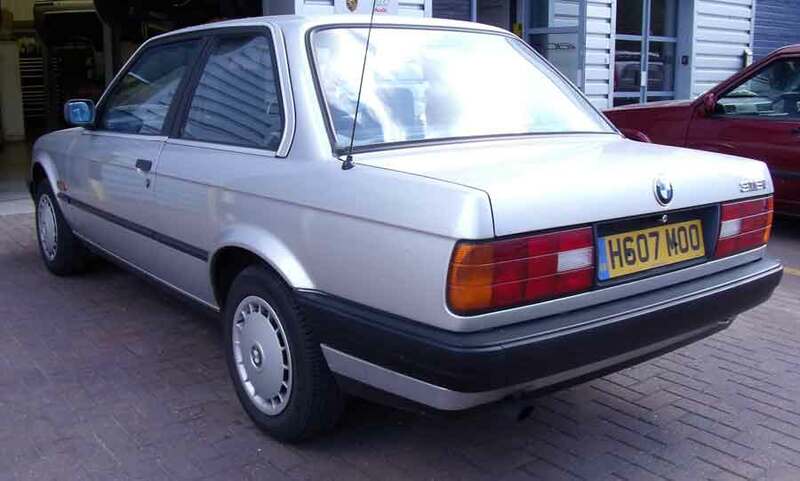 it also has the 325i larger front anti roll bar and the rear anti roll bar also fitted,The limited slip differential completes the 325i chassis conversion. 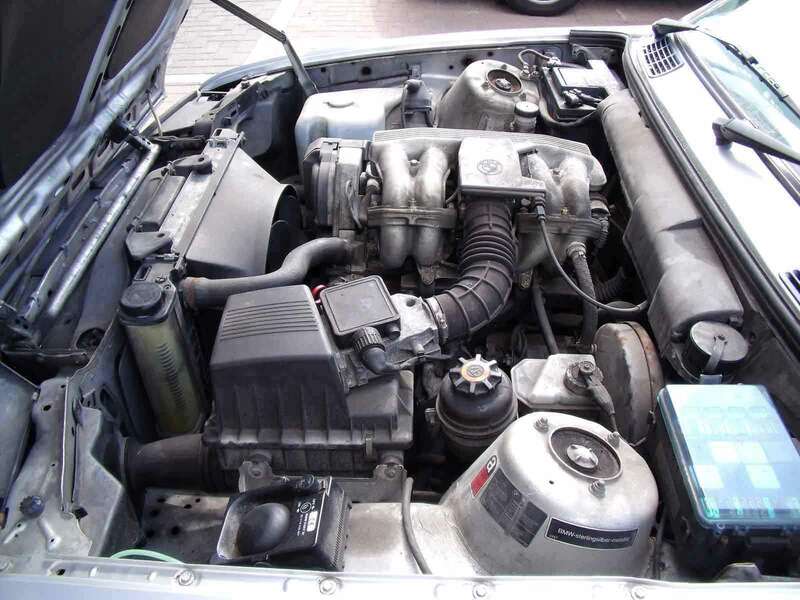 With the chassis in a 325i Sport form we set about working on the engine, we have split the tuning into different sections and will complete most jobs before moving onto the next so we can doccument each task and its results. 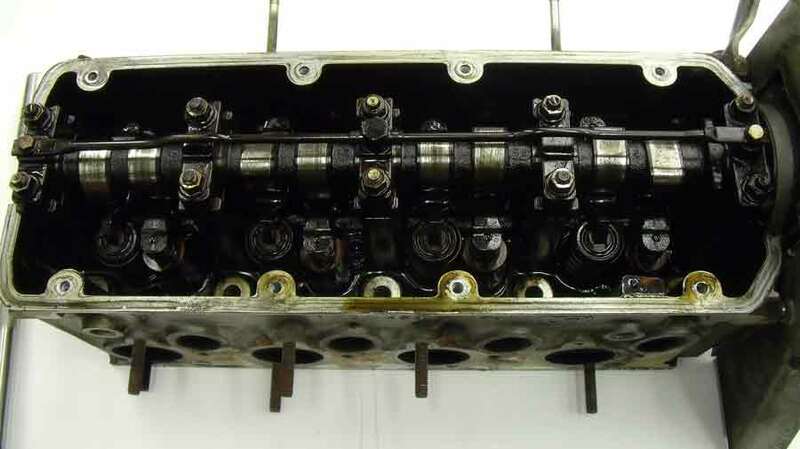 Our first engine based job is to strip down the cambelt and head and fully rebuild and tune them along the way. We timed up the car using the correct locking tools and set about removing the cambelt and water pump, these are obvioulsy due a relpacement and we will be installed when the head work is complete. 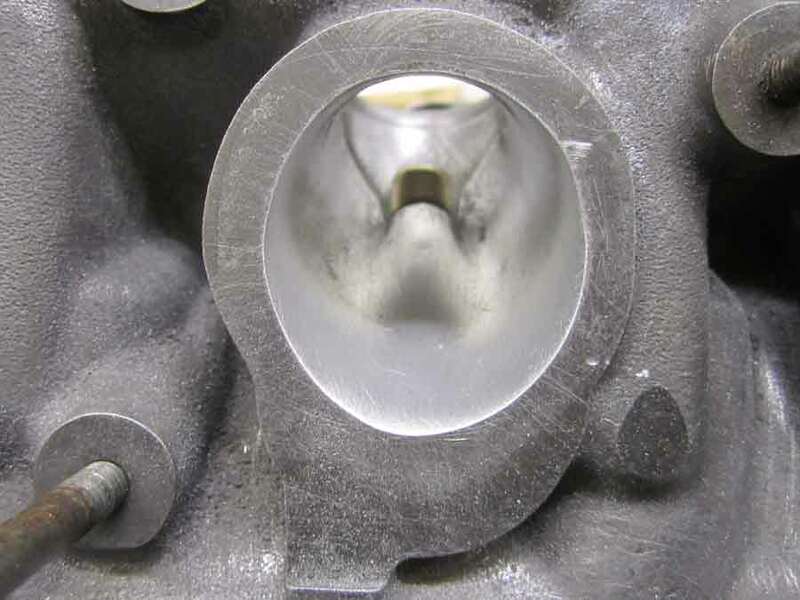 Once the inlet manifold and exhaust manifold had been removed along with a few pipes and wires the head was free to be removed from the block. 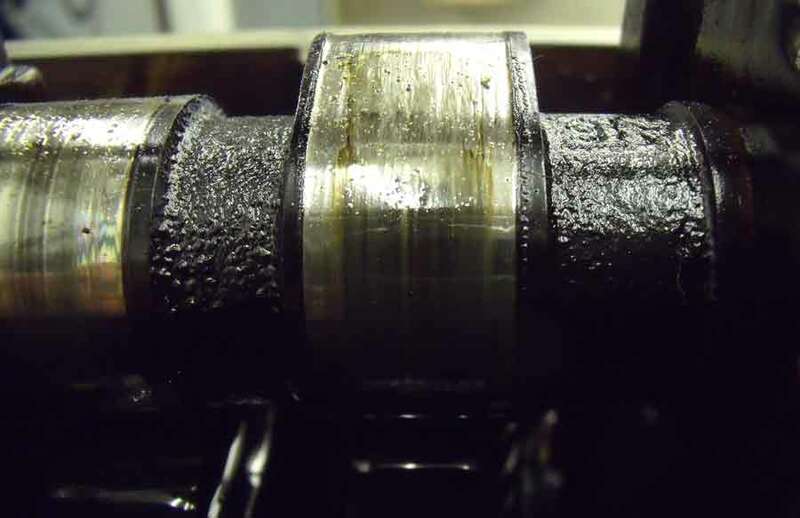 This is the first time we have seen inside the head and it looks in a good general condition, it is worth noting however that the camshaft is showings signs of major wear as you can see from the picture. 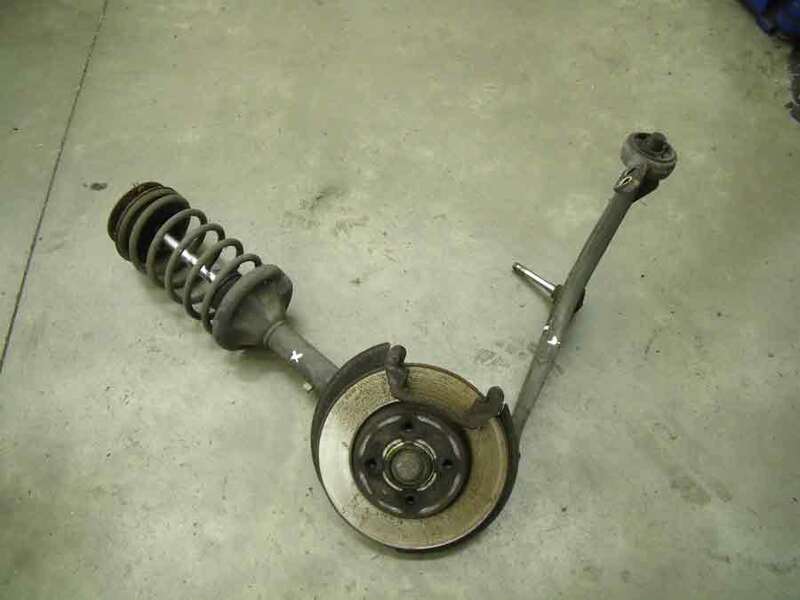 This however is no problem for us as we are replacing it with a new high lift camshaft to improve performance. 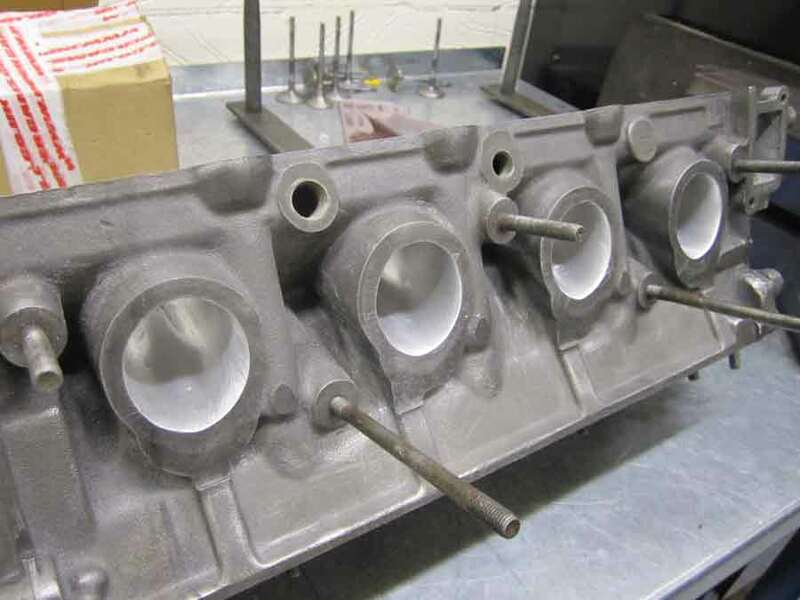 we then stripped the head down completely removing all valves, springs etc so the head can be chemically cleaned ready for porting and polishing. Seen below is the current progress of the head modifcations, the head has been chemically cleaned and stripped of all parts. We then begun enlarging the ports and smoothing all areas to improve gas flow. 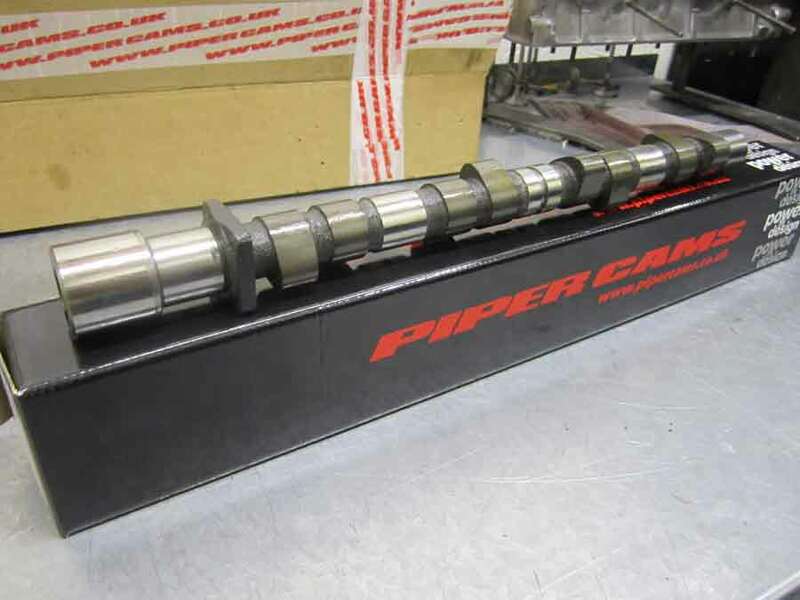 We contacted our friends at Piper Cams about our project and through discussing our requirements, They came up with a bespoke custom profiled camhaft that will work best with our supercharged engine. Also we took the time to clean the contact surface of the engine block and pistons to ensure a perfect rebuild once the head is complete. 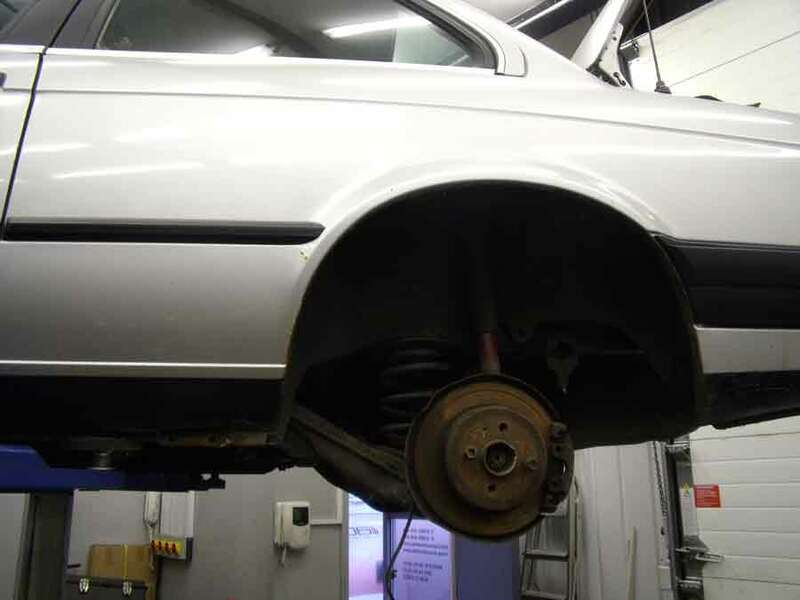 With the Chassis now in 325i Sport form with the enlarged brakes and LSD we turned our attention to the suspension tuning. 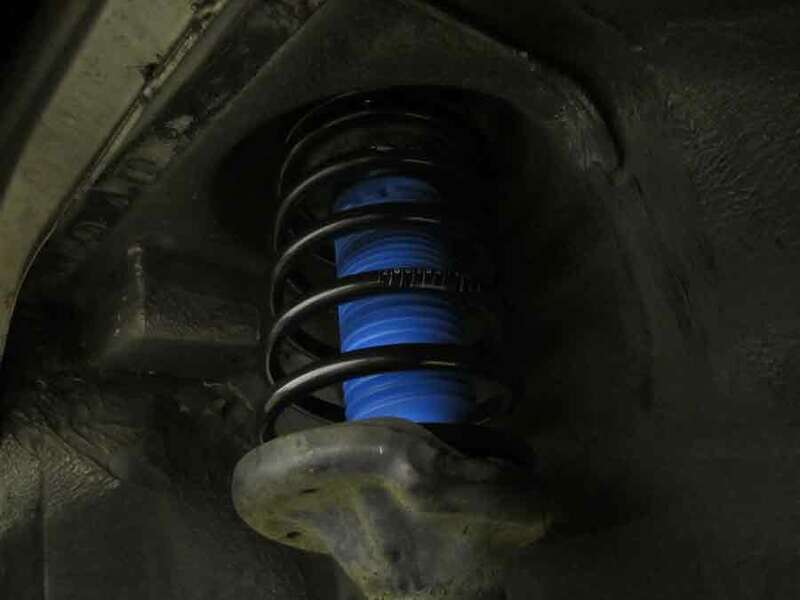 We opted to take this oppertunity to renew as much as the suspension componenets as we could, fitting complete new wishbone arms, all bushes, track rod ends, anti roll bar bushes and drop links. In keeping witht he restoration we also fitted new brake hoses front and rear and replaced the tired handbrake cables and inboard handbrake shoes. 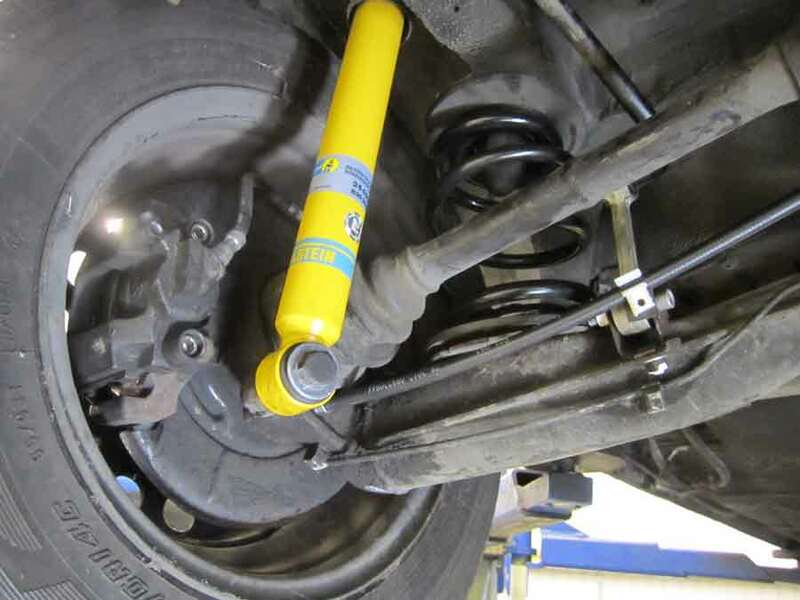 To enhance the suspension and ride characteristics we contacted Bilstein for a suspension kit, We opted for the B12 Pro-Kit allowing a nice drop in ride height and increased performance, Along with Eibach Pro springs to compliment the shock absorbers. Our next step is to finish rebuilding the head and get the engine back to a running condition. This will allow us to put some miles on the new camshaft and allow the new parts to run in before continuing with the supercharger modifications.